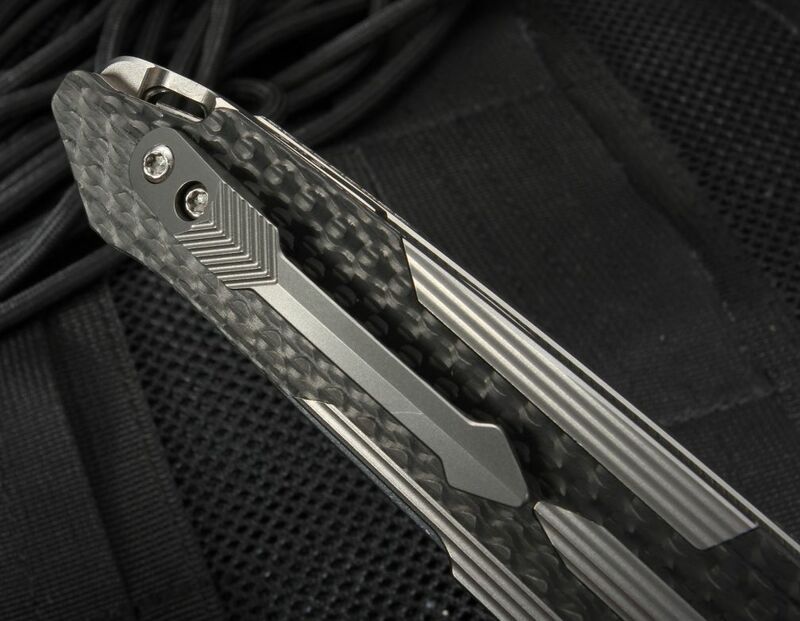 2017 Blade show American Made Knife of the Year! 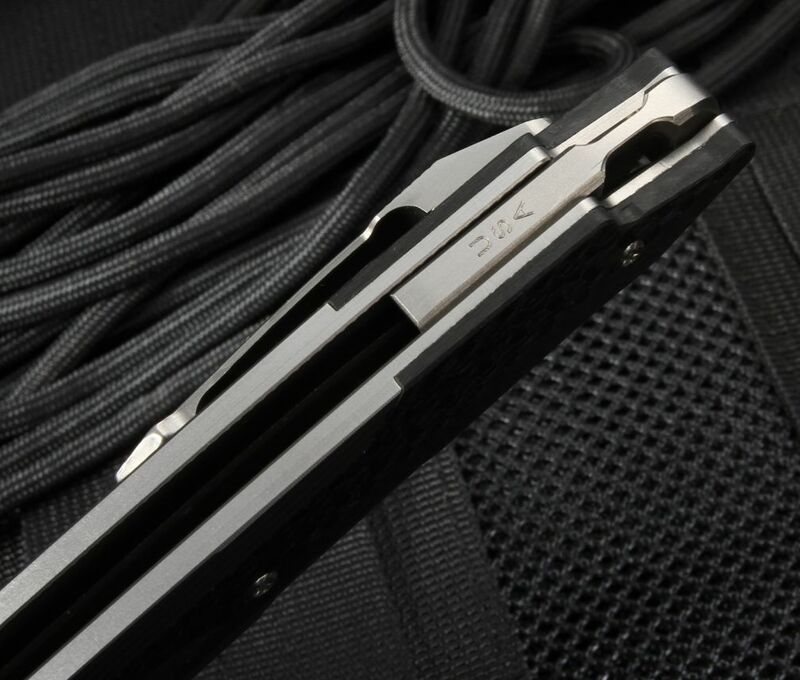 The Spartan Blades Kranos combines the highest quality materials, exceptional art deco look, and tactical performance. 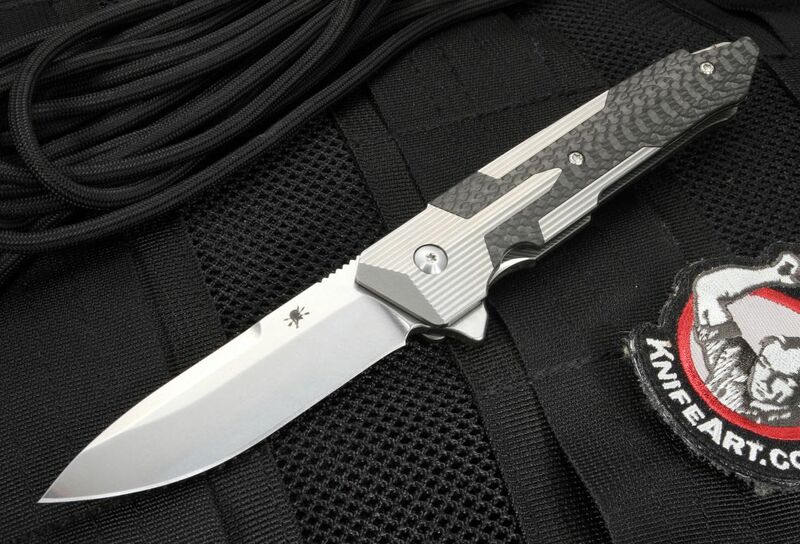 The stainless CPM S35VN steel blade has flat grinds and fully tapered top edge. 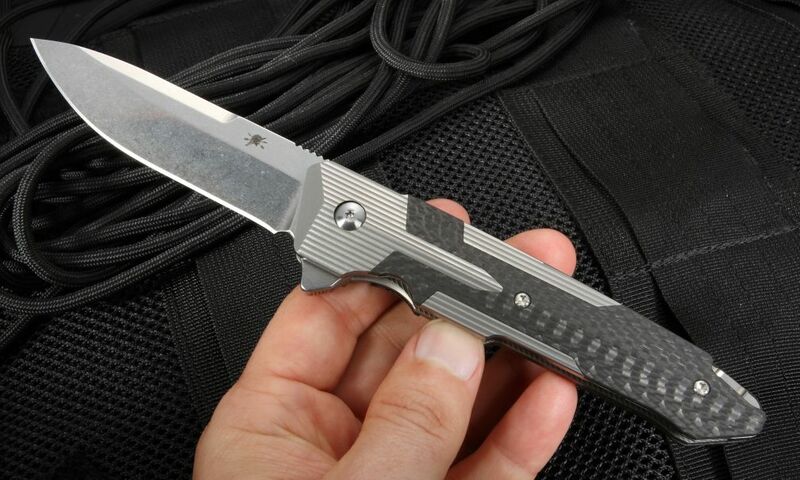 The blade has a fine stone wash finish that looks fantastic and conceals minor scratches. 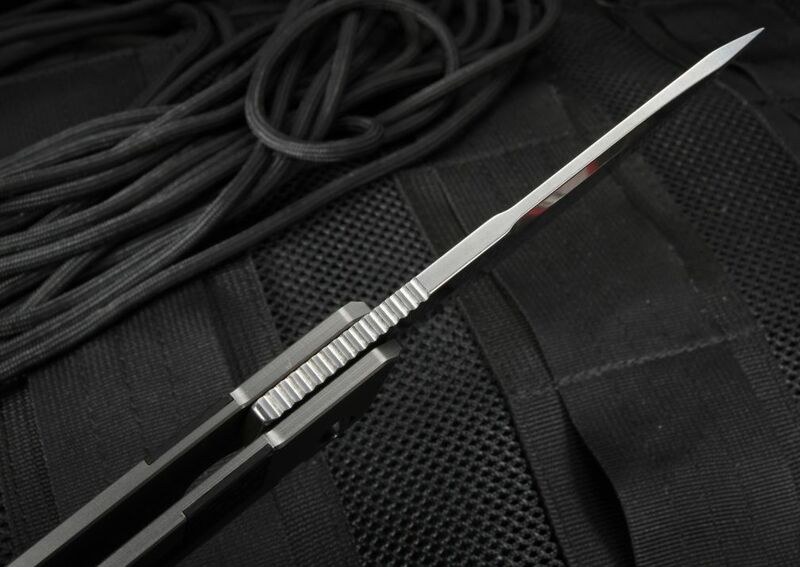 Jimping covers the thumb rest of the blade and handle spine that ensures positive traction. 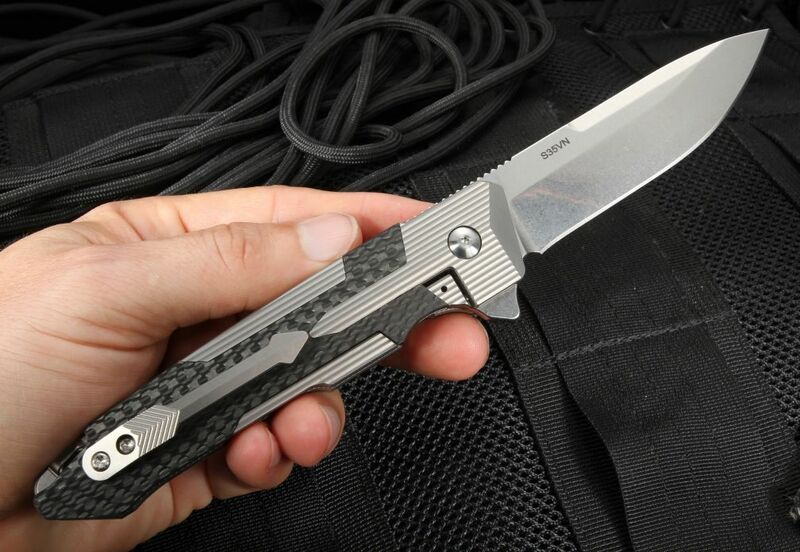 Blade features an integral flipper that enables the folder to easily be opened right or left handed. 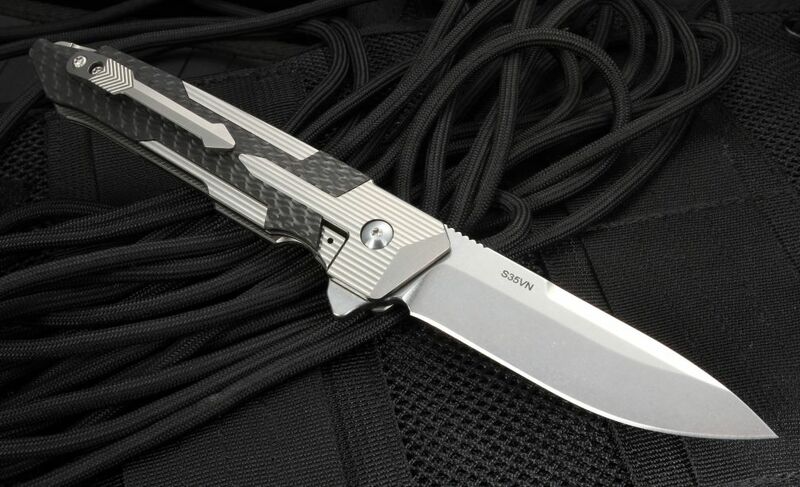 The handle of the Kranos gives this knife its art deco appeal. Materials such as 6AL4V aerospace grade titanium and black carbon fiber are utilized for performance and class. The pivot has a dual bearing system that opens quick and smooth. Titanium spacer doubles as an integral lanyard bale. 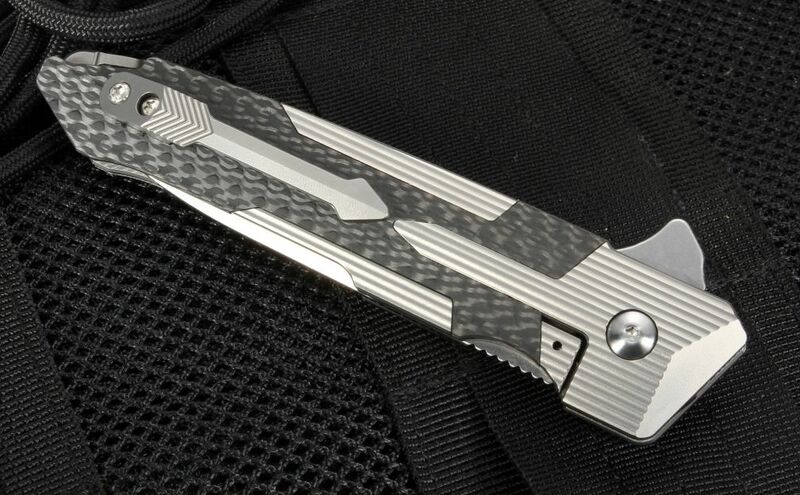 The pocket clip is mounted blade tip up and machined in the shape of an arrow. Frame lock ensures a solid lock up when open.